Kasandrinos International Organic Extra Virgin Olive Oil – Holiday Gift Guide! 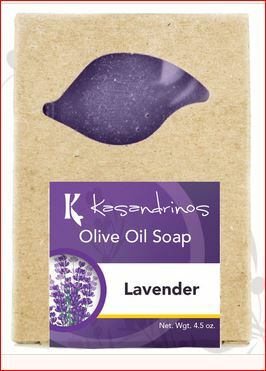 Kasandrinos International proudly offers a single source organic extra virgin olive oil and other high quality food and skin care products for everyone on your holiday gift list from the the foodie to the beauty! I was lucky enough to receive a bottle of the Kasandrinos International Organic Extra Virgin Olive Oil and you have to know: IT'S AMAZING! If you follow me on Instagram, you know I love to cook and when I saute something or am pan-frying meat, I tend to prefer extra virgin olive oil for my cooking needs – I have to say this product has a wonderful flavor profile without interupting the flavor of my recipe and cooks very clean! But this time of year, we are thinking of others, of course, so why not gift that foodie in your life with some amazing extra virgin olive oil? Kasandrinos International only offers this year’s harvest of olive oil so you can feel good knowing that these products will be high-quality and really show your gift recipient how much you care. Or better yet, get two – one for your recipient and one for you! Because with this 20% off Kasandrinos International Extra Virgin Olive Oil discount code, you cannot go wrong! Use promo code holidayguide2016 to save now! I promise you that you will absolutely adore this olive oil – it is so fresh and so delicious!